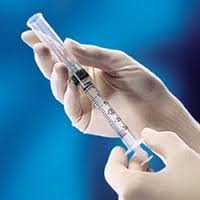 BD Safety-Lok™ syringe offers you proven performance and dependability. BD Safety-Lok™ syringe offers clear visual and audible confirmation of the lock position. Lock is confirmed when green band fully covers red collar.